This elegant 1929 French Normandy-style mansion, designed by Albert L. Farr after Henry IV’s Place de Voges in Paris, boasts spectacular views of the Golden Gate Bridge and the San Francisco Bay. 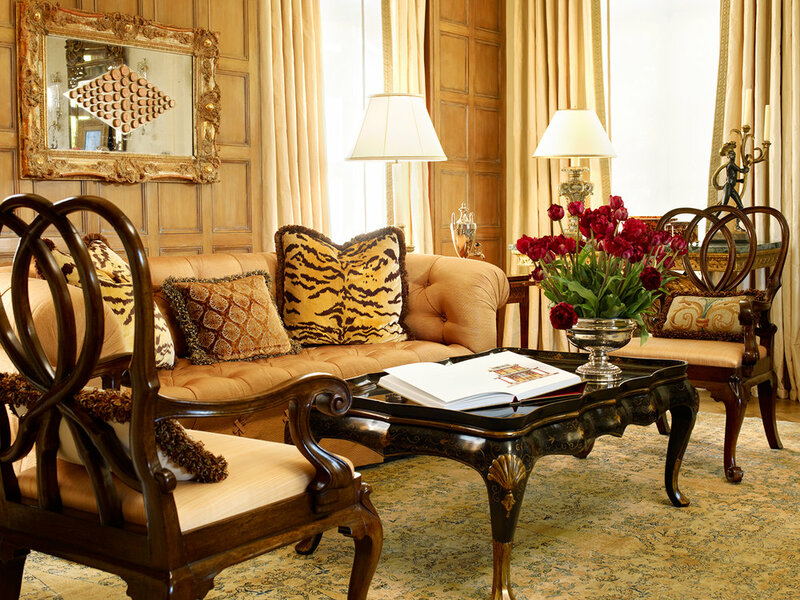 David was commissioned to design a grande salon for entertaining, in which cocktail parties flow with ease throughout the generously proportioned, bleached-walnut paneled room. A room that is both intimate yet spacious with choice antiques and artwork; and layers of luxurious silks and linen fabrics in a soft palette of cream, green, and apricots, as seen in the antique Persian Tabriz rug. The gracious and warm, sun-filled room has a sophisticated balance, as the room circulates on an axis created by a wondrous center table. 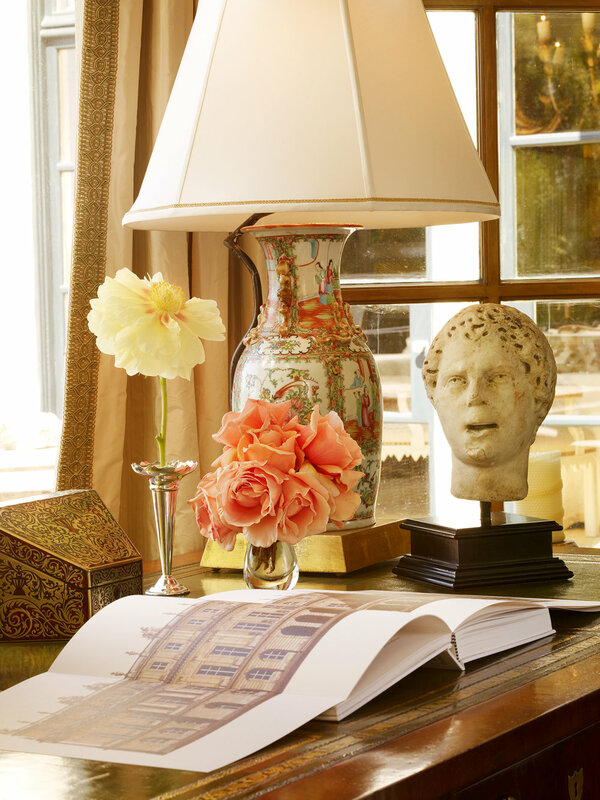 This commission exemplifies David’s use of the most refined European antiques, purposely hand selected and placed into this stunning room.